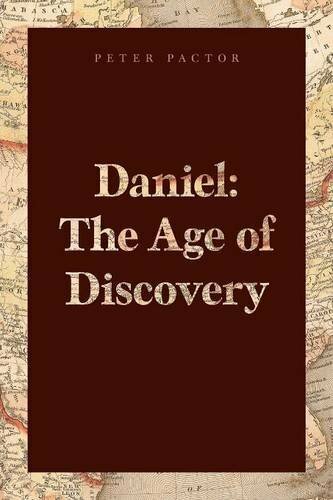 “Daniel: The Age of Discovery” by Peter Pactor is the story of Daniel French and his coming of age years during the time he attended Cornwell Academy. The book begins with Michael Chandler’s visit to 95-year-old Daniel requesting permission to write an authorized biography of his life. Daniel not only agrees, he also gives Chandler access to his home’s three story library and requests he decide the content of the book if he is still alive for the publication, then begins to tell his story. Daniel French grew up in a mansion with no attention from his parents during the 1920s. He was tutored at home instead of going to the local school, but his real education came from the thousands of books kept in his home library. With no friends and zero social skills, Daniel was sent to Cornwell Academy at the age of 12. This is where his story really begins. Daniel’s coming of age journey continues in boarding school, where he not only must adapt to his new life, he also has to develop all the skills he lacked as a wealthy, sheltered young boy. Peter Pactor does an impeccable job with character development. I felt for Daniel as he struggled in his new environment, and laughed aloud at some of his clever reactions and thought process. His descriptions and action narrations were spot on, although I would have liked to see more sensory description in them to help with the ‘showing instead of telling’ the reader. Although the storyline has been done before, I found his book to be an enjoyable well-written work, which was both entertaining and enlightening for young adults. I am sure older crowds will also enjoy and relate to Daniel’s story! In my opinion, “Daniel: The Age of Discovery” by Peter Pactor is a well-written, captivating coming of age tale that will entertain and inspire young and older crowds. I hope to see more from Pactor in the near future!